To maintain a culture of anti-discrimination in the workplace, any and all discrimination should be challenged as soon as possible and in a way that encourages change. Discrimination should never be accepted, excused or dismissed and should always be challenged to ensure that the discriminating individual understands that their behaviour is unacceptable, whether it was deliberate or unintentional. There are a few ways that this can be approached. You should try to be courageous and challenge it face-to-face with the individual as soon as it occurs. This is the most effective way of ensuring that it does not re-occur. However, this may not always be possible. In cases where you do not feel comfortable challenging discrimination yourself, you should always report it to your manager who will be able to offer guidance and advice and take action to reduce the likelihood of it happening again. Sometimes discrimination can occur unintentionally and in most cases, informing and educating the individual of their mistake and the reasons why it is unacceptable is enough to stop it happening again. 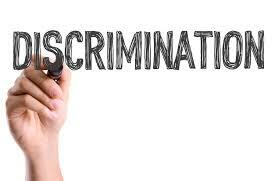 If an individual continues to be discriminatory, more formal training may be required or disciplinary action. Your employer’s agreed ways of working may provide further guidance about challenging and reporting acts of discrimination. Speaking up if somebody is being discriminatory. It lets the person know that their behaviour is unacceptable and may allow the opportunity to educate them about why discrimination is wrong. Having a company equality and diversity policy that all employees are required to read. It lets people know what is and is not acceptable and why, along with the potential consequences of non-compliance. Reporting discrimination to your manager or making a complaint to employer of the person discriminating. The company must take your report/complaint seriously and investigate it thoroughly according to company policies and the law.